Jay Park Live in Manila! The only time you'll see me in Valkyrie, hahaha! 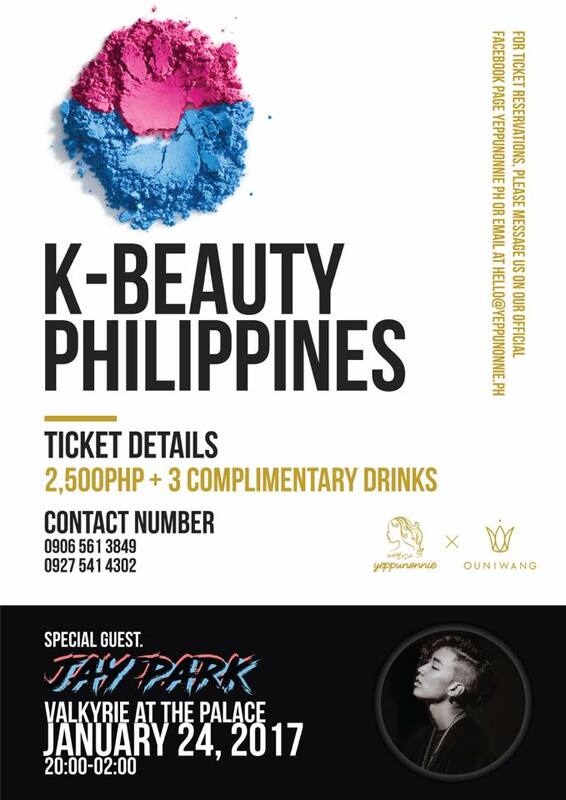 Korean star Jay Park will have an exclusive performance for Yeppunonnie PH and Ouniwang on January 24 2017, so it's going to be an exciting night of K-Pop and K-Beauty! I am actually super excited for this! Ticket is at Php 2500, inclusive of entrance and complimentary drinks. Please state my blog www.anagonzales.com / @anagon upon entrance for a chance to WIN Php 5000 worth of Yeppunonnie PH K-Beauty GCs (*If I win their bloggers giveaway with most number of reader attendees!). For more information, follow Yeppunonnie PH on Facebook and Instagram @yeppunonnieph.